The largest theme that is constant in disaster philanthropy is partnership. 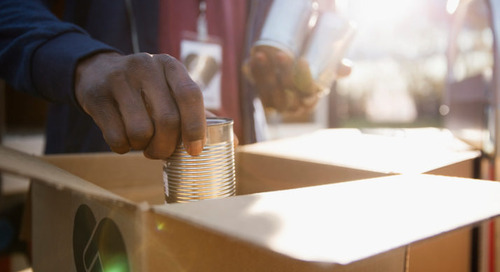 Corporations, independent and family foundations, and public charities may identify different areas of partnership, but it is apparent from past and current disaster giving that it is essential to work with others to distribute the immediate help that is needed as well as providing long-term relief . In the aftermath of Hurricanes Rita and Katrina, about 22% of total funding went to the American Red Cross (ARC). 82% of that funding came from corporations, where 18% was sourced from independent, community and public foundations. Historically, and initial numbers from recent disasters reflect the same trend, corporations focus on the use of intermediaries to ensure their large donations are distributed to the correct organizations. Corporations are unique in their ability to donate such large funds at once when immediate relief is needed. About 50% of funding at this point for Hurricane Harvey has gone to ARC. In the aftermath of these earlier hurricanes, many foundations came together to set up new intermediaries, focused on long-term infrastructure needs. In the case of Louisiana, the Louisiana Disaster Recovery Foundation was set up by Ford Foundation to work with the Red Cross, with the goal of helping more families and directing all funding to nonprofits working on recovery in the area. They partnered with other donors to cover operating costs. Other examples of collaboration were foundations working with peers who had grantees in the area or staff on the ground. When there is an open communication line, you’re able to better understand conditions and work better with local government with rebuilding efforts. 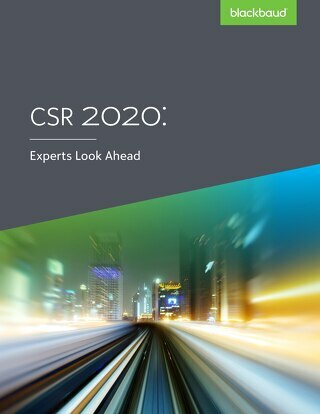 While corporations provide immediate relief, foundations have understood their strategic role given the long road to recovery ahead, and have thus focused their partnerships on these long-term priorities. 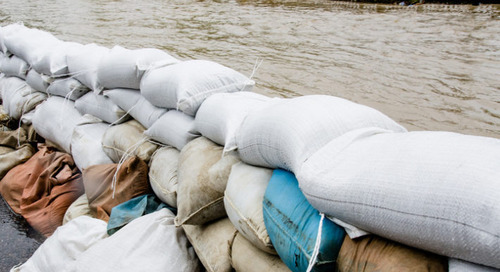 This lesson around the need to take a staged approach in your disaster response can be applied today, and this approach ensures that the process is more organized. New challenges quickly arise, and foundations need to be flexible to address these needs. This may include quickly approving grants, working outside of typical grant cycles, or allowing grantees in affected areas to use funds from pre-disaster grants to address immediate needs. Most funders remained engaged in recovery and rebuilding efforts two years after Katrina, and one could surmise that is because their immediate observations reinforced the importance of and the incredible need for long-term recovery. Foundations overcame initial challenges, mostly process related, including: determining a plan of action, identifying trusted resources of information, choosing a grantmaking approach (i.e. whether to go beyond the foundation’s area of expertise), deciding how flexible to make their support, and finally allocating staff. To be successful in today’s response, and moving forward, it is beneficial to review and learn from these past lessons. Of course, 2017 has added significant other challenges with the high frequency of natural disasters in a short period of time. There has never been a more important time for collaboration across organizations. Technology that drives flexible grantmaking and open communication with grantees can help drive the conversation around what a plan and process looks like when these devastating events occur. New questions have also arisen around disaster philanthropy in 2017, and lessons learned today can guide future response efforts. One difficult question that needs to be addressed when multiple events occur yet a foundation’s pool of funds to this area remain limited, is how do you prioritize giving? Public giving is dictated by media coverage. Do foundations do the same? Do they consider geographic areas in which they have previously focused? Perhaps it is coordinating with other institutions to ensure resources can be allocated to each of the several areas affected by disaster events weeks apart. In the end, we need to think about the future, and rebuilding. Independent of disaster philanthropy, foundations have already shifted towards increased collaboration, transparency, and accountability with programs in place that track the outcomes of their programs. Applying these new processes to this area of giving, where available funds may be limited and data analytics delayed, may take time. However, just like in the past, lessons will be learned and we will continue to grow as a philanthropic community. In the next and final installment of this series, we will review one of the biggest challenges funders faced after Katrina, and that was how to measure their long-term efforts. 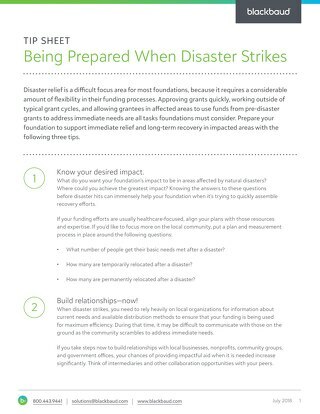 In “Giving in the Aftermath of the Gulf Coast Hurricane” report, Chris DeCardy of the David and Lucile Packard Foundation commented that disaster grantmaking is very different from their usual operations, and that the foundation recognized that they did not have the expertise in this area nor were they looking to build that expertise. 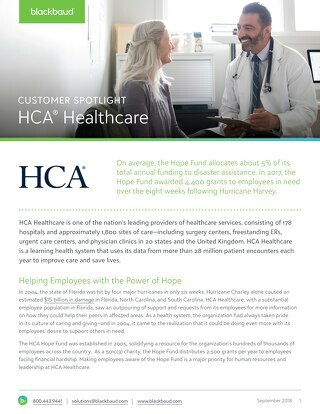 However, because of this partnership with organizations who did have a better understanding of what efforts would offer the most benefit, the foundation couldn’t set up their disaster philanthropy efforts with any sort of plan to review impact. Ten years later foundations have learned a lot about measuring outcomes, and technology has evolved to help in that effort.